10+ Adorable Ways To Include Your Pets In The Wedding Album! Your wedding album needs to include everyone that holds a special place in your life and that means including your four legged friend(s) too. Let’s be honest, would your special day really be complete without the favourite member of the family? So, if you have a pet at home, then here are 14 really adorable ideas for you to include your furry, feathery and finned friends in your wedding pictures. 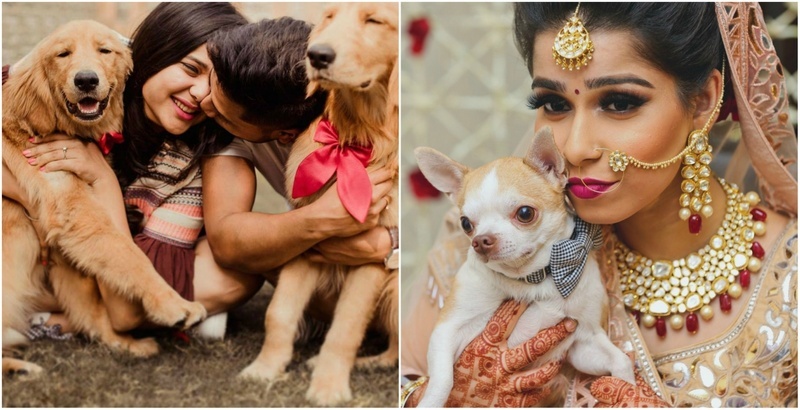 Capture your stunning bridal mehendi with your dog best-friend! Your pets have to be a part of your pre-wedding photoshoots as they have also been a part of your love story over the years! For all the times your ‘walk the dog’ have turned into dates! How about taking the help of one sweetheart to propose another? Add the awwwwwww factor to your ‘Just Got Engaged’ photos with a little help from your pawed-BFFs. How about announcing your wedding date with the help of your pets and some really cute stationery? No bridesmaids will be as cool as them! Period! It’ll be a moment to be remembered when your pet announces your entry to the mandap. Just make sure the signboard is very light though! If your lehenga shot is important, so is their attire. It might be a little time consuming to get the perfect shot, but hey, all good looking people throw tantrums (WHAT? It comes as a package)! Believe us when we tell you, these shots will be a lot more beautiful than the usual ‘holding the hands’ poses! 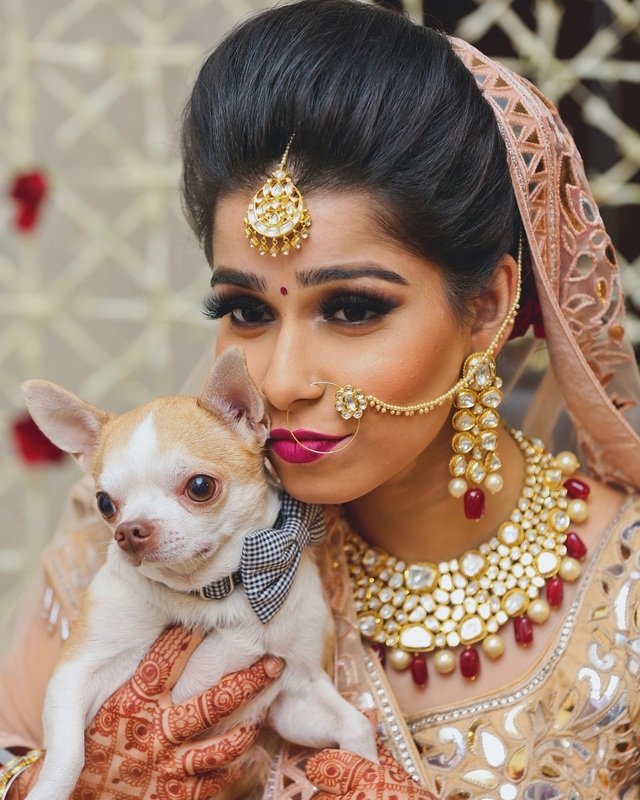 A shot with your pet, when you're all decked up in your bridal lehenga is a must-have. Your pets love you as much as you love them, so don’t forget to include them in your wedding album. Just take inspiration from any of these ideas (or all of them)! Although, in whichever way you decide to include them in your pictures, just make sure to designate someone you trust to take care of them, so you can have fun while not constantly worrying about their safety!